Oppo has unveiled 10x lossless zoom feature products recently in China. The brand will introduce the latest feature smartphone at MWC 2019 on February 23, 2019 as well. Oppo has recently released Oppo R15 Pro, R17 and R17 Pro smartphones etc. and the time has come for the latest features and innovation device from Oppo in 2019 to chase its rival. Interested to know more about it? You can find some of them over here. The upcoming mobile phone will come with potential features including Triple camera that will seamlessly enables 10x zoom. The triple-camera will have “Ultra Wide Angle + Ultra Clear Master + Telephoto”. Wait, it is not over yet. There are some more innovative things in them. Oppo device will come with next-generation biometrics feature as well. The brand's gadget would also come with periscope structure. 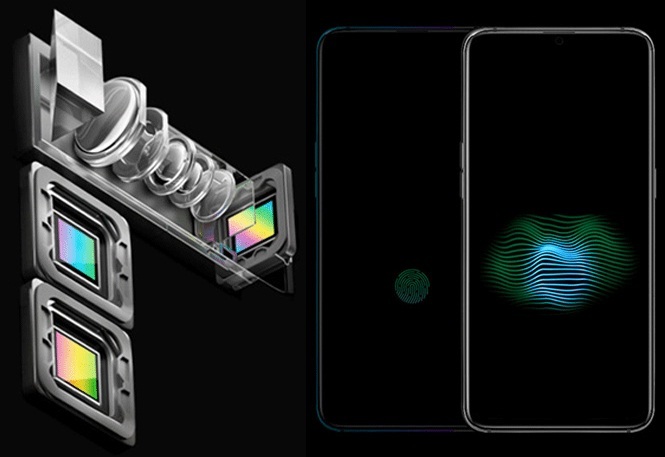 After Vivo APEX 2019 introduction, Oppo seems introducing more or less similar feature for futuristic purpose like a new wide zone optical fingerprint recognition. If you are interested to know more features in upcoming Oppo futuristic smartphone then please stay tuned. We would update about them over here once it is officially revealed more features on above mentioned date. Also, if you are looking for the latest update of MWC 2019 from Barcelona, Spain then you may get some of them over here.